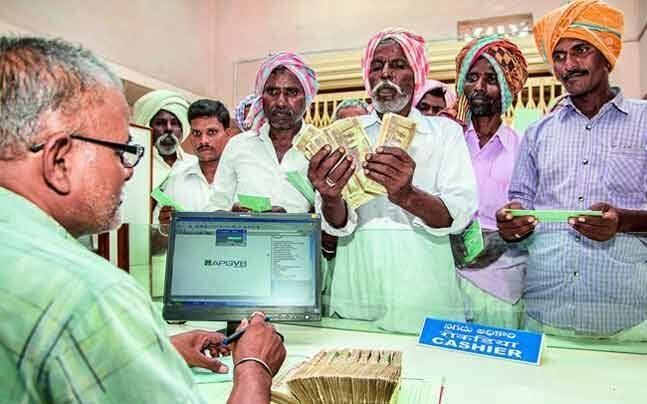 The loan waivers are a result of massive farmers’ movements and protests across the country that brought issues of agrarian crisis to centre-stage, compelling political parties like Congress to include it in its election manifesto. NEW DELHI: Just hours after being sworn in, Chief Minister Kamal Nath of Madhya Pradesh and Chief Minister Bhupesh Baghel of Chhattisgarh have announced that their respective governments will waive short-term agricultural loans of farmers as promised by their parties ahead of the recently concluded Assembly polls in the two states. The Assam government, too, has reportedly announced loan waivers. These announcements signal the effect of sustained farmers’ struggles and movements across the country, forcing political parties to make agrarian distress a poll plank. He further stated that an estimated 34 lakh farmers are set to benefit from this and it will cost the state’s exchequer somewhere between Rs. 35000 Crore to Rs. 38000 Crore. The order also stated that income rax payers and government employees are not eligible for the loan waiver. Chhattisgarh Chief Minister, Bhupesh Baghel, also followed suit of his Madhya Pradesh counterpart by announcing waiver of loans to the tune of Rs. 6,100 Crore of over 16.65 lakh farmers. These are short term loans drawn from Co-operative banks and Gramin Banks as on November 30, 2018. He also said that they have decided to hike the Minimum Support Price (MSP) of paddy to Rs. 2,500 per quintal from the previous MSP of Rs. 2,050 which included Rs. 1,750 plus Rs. 300 Bonus. While it’s a welcome move by the newly elected state governments of Congress in MP and Chhattisgarh, it is imperative to point out that these loan waivers were not granted as a sympathetic or empathetic gesture towards the farmers, but waiving off of loans are a result of massive farmers’ movements and protests witnessed in the country in 2018 which brought the issues of agrarian crisis in the nation to the forefront and compelled political parties like Congress to include loan waivers as a key demand in its election campaign and election manifesto. Farmers from all across India, united under the banner of All India Kisan Sangharsh Coordination Committee, flooded the country’s Capital earlier in November this year and marched towards the Parliament raising their voices against the economic policies of the Modi government – that had led to the severe indebtedness and thousands of suicides among farmers under the Modi Government’s almost concluded tenure. Farmers have been on the warpath almost continuously since 2015 against the BJP. The key issues have been low prices for produce, and debt. The demands have been to implement the Swaminathan Commission Recommendation of fixing the minimum support price at 50 per cent over the full cost of production or generally called C2, and a complete debt waiver, including of debt owed to private money lenders. Over 13 states (Madhya Pradesh and Chhattisgarh included) have seen massive agitations by farmers on these demands. Delhi itself witnessed a three-day Kisan Sansad (Farmers’ Parliament) in 2017, a Worker-Farmer Joint Rally in September 2018, and a Farmers’ March to Parliament on November 29-30, 2018. In fact, even amidst BJP’s blatant and shocking attempt to communalise the country’s masses by inciting people over the Ram Mandir issue, one of the slogans that kept rending the air during the farmers’ march towards the Parliament on November 30, 2018 was ‘Ayodhya nahin, karz maafi chahiye’ (Not Ayodhya, we want debt write off) which clearly meant that the farmers were neither fooled by all the talk of building a Ram Temple in Ayodhya, nor concerned with it. What they want is that the humongous debt on their backs should be done away with. He further added that while the MP and Chhattisgarh Governments have waived off short term loans, loans from private money lenders should also be done away with and a Debt Relief Commission should be set up. He acknowledged that while loan waivers are a temporary relief but, until the entire neoliberal paradigm is changed, these crises will recur and farmers will fall into indebtedness again. “Our struggles will go on until we are ensured of a reversal of anti-peasant policies and an alternative agricultural policy is implemented,” he said.